This year Samsung will launch a lot of devices that are bendable. In past, Samsung made a habit of showing this kind of devices to a small group of people behind close doors. 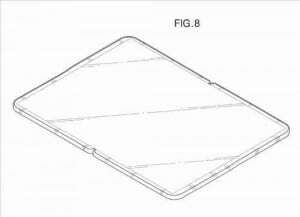 Some time ago there were reports that Samsung showed a bendable smartphone in different events such as Analyst Day or CES to a high-class people. The Korean media just announced that Samsung prepares to gear up to do the same thing again.It seems that this time we are talking about a bendable tablet that can be bent to 90 degrees. The report isn’t complete and has a lack of information, but it seems that this tablet could be used as a laptop. The report is light on details, so we don’t know if the screen itself will be curved or bent when the device is in a folding position. Probably this new device will be so innovative that we can’t imagine how it can be. Maybe bending the tablet will let us prop it on a table or desk without any additional support. If this kind of device is shown at MWC it will be a prototype, as Samsung won’t launch such a device any time soon. But the important fact is that Samsung is working on such innovative technologies, using bendable and flexible devices for a better future customer experience.